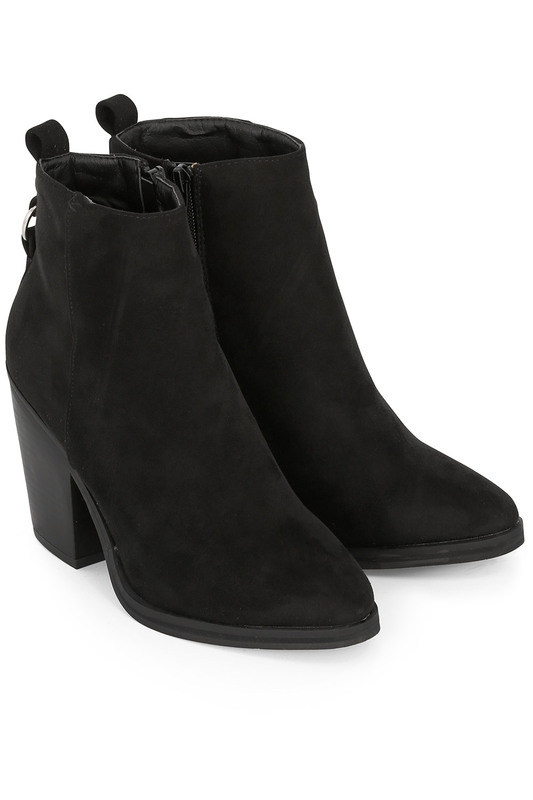 These stylish western-inspired boots are exclusive to our website. 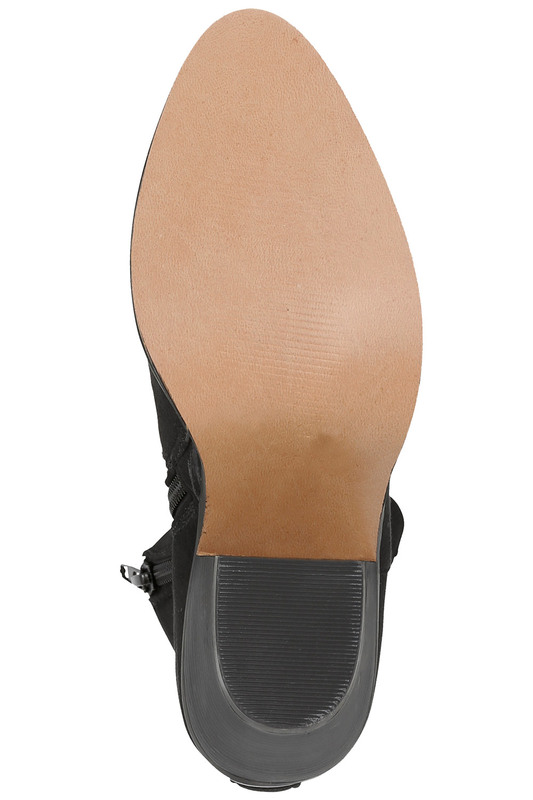 They are made from a smooth suedette fabric and feature a classic almond toe shape and ring detail on the heel. 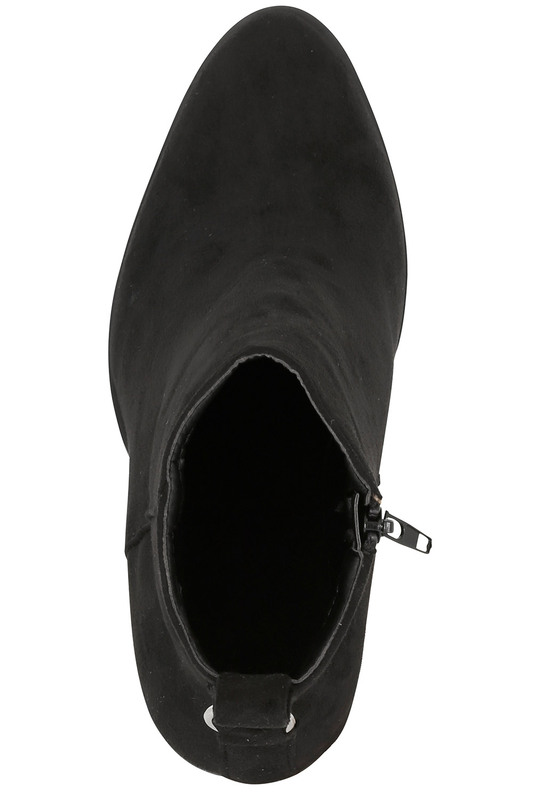 The zip fastening at the side makes them easy to slip on and off. 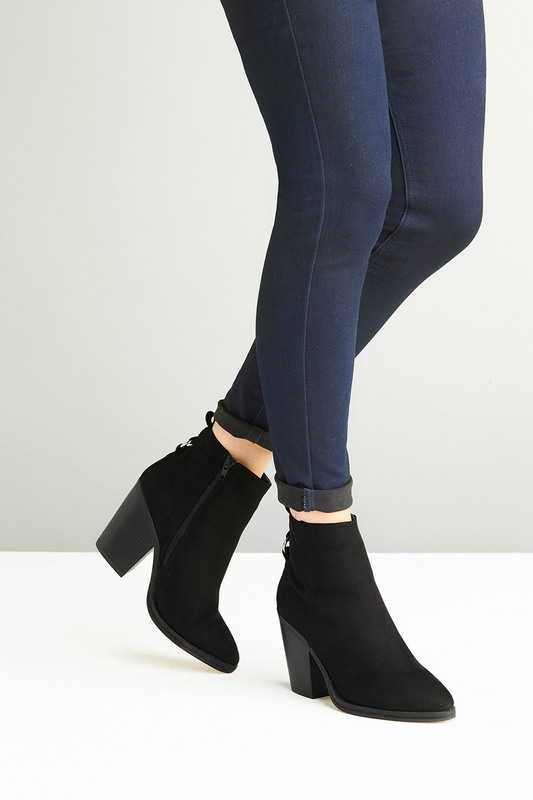 With an 8cm block heel to give you a flattering lift, these boots are ideal for pairing with your favourite jeans.